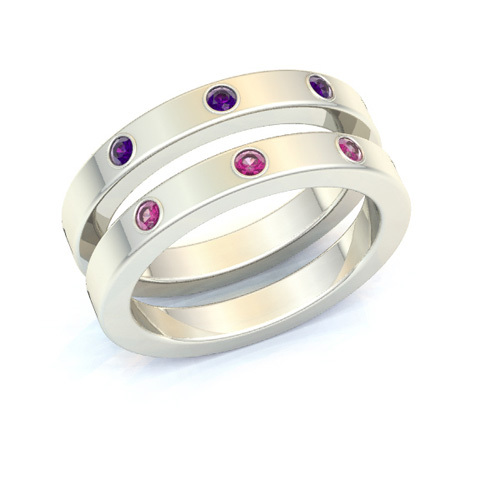 This elegant slim stackable band is simply beautiful on its own, and it's equally fabulous when ordered in multiples and worn together. 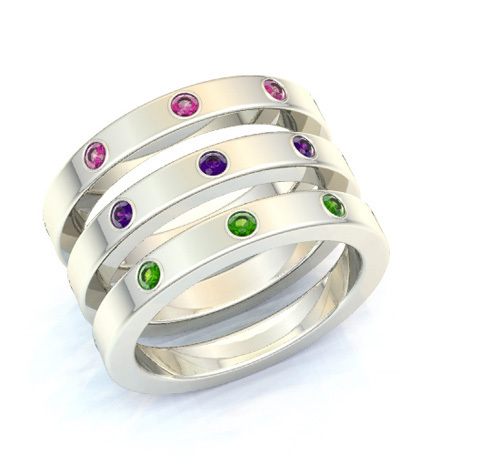 Choose a separate band for the birthstone of each child or grandchild, or put several birthstones on a single band. It's totally up to you. 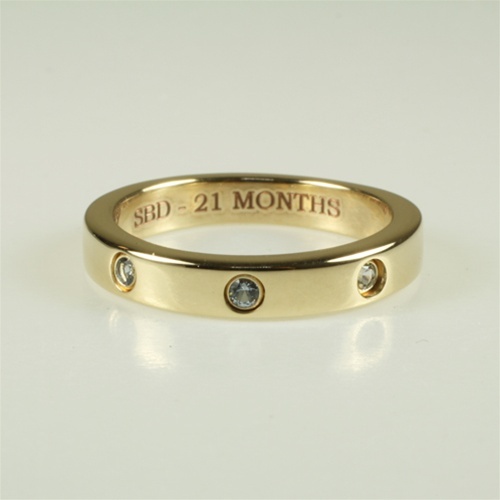 Birthstones or bands may be added later as the family grows. 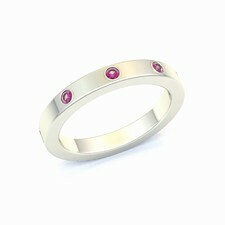 Rings are available in a variety of metals. Price quoted below is for Sterling Silver.